Greetings in Christ. 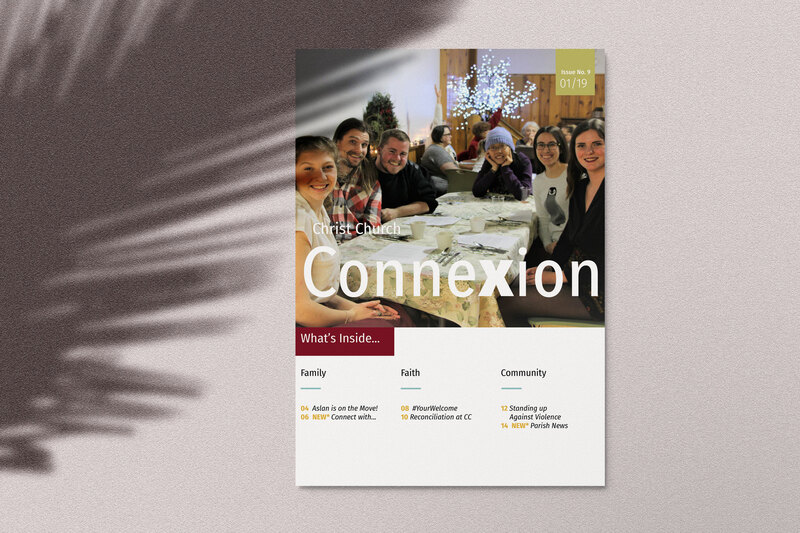 Another edition of the Christ Church Connexion is set to go to the presses and I am once again so grateful for the hands that prepared it and the lives of faith that are represented in it. From Advent in Narnia, to a new welcoming team, to narratives of reconciliation, struggle and hope, we give thanks to God for the stories of faithfulness contained in these pages. I would commend to you the work Rev. Nick is doing in the area of Reconciliation in Edmonton. Each week at staff meeting, Nick comes to the table brimming with stories of people he encountered on the bus or the street that week. Stories of hope and heart break he has heard from others. He describes learning events in which he has participated and learning and teaching events he is planning for the months ahead. I am so very proud of this work and the part we get to play in its unfolding in our city and our church community. Today, I am in the middle of a silent clergy retreat. We have been sitting at the feet of a scholar from a monastic community in England. He has encouraged us to continue to cultivate a life of prayer and stillness —reminding us once again that it is here where we will find our truest selves. That in our cell, or prayer closet, we will be taught everything we need to know in this life of ministry. Making space for this prayer closet will always be a challenge for your rector and I would guess that I am not alone in this struggle. One of the most useful attempts at cultivating a sustainable practice of the spiritual life I have thus far encountered comes from the Order of St. Benedict. As I return to this teaching time and again I am renewed and reminded of what it takes to live a holy life. I would encourage you to join me on Tuesday evenings during Lent as we explore, ‘Monk Habits for Everyday People’. Let’s dust out our prayer closets and once again allow this space to teach us all that we need to know in this world. Lent will soon be upon us and I would encourage you to begin thinking about how you will use this portion of time in the Church calendar to go deeper with God and cultivate your own interior life in order to follow the liturgical command that we ‘keep a holy lent’.